Rio Grande Fence Co. of Nashville, Tennessee, had humble beginnings. In 1958, armed with $1,500 and pure tenacity, Derek Smith’s grandfather and grandmother invested everything they had and started the company from scratch. In 1996, the company made the decision to move away from the residential market and concentrate on providing fencing to general contractors, business owners and government agencies. This decision has enabled the company to give “white-glove treatment” to a more focused clientele and to work on establishing itself as The Commercial Fence Professionals™. That tradition of service excellence doesn’t stop with Rio Grande’s customers. 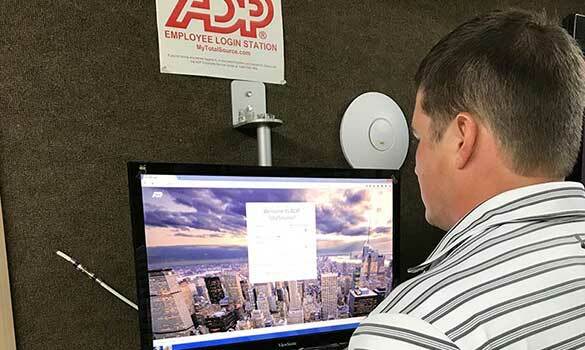 It extends to the company’s more than 40 employees who, through their access to ADP TotalSource®, are empowered to more easily personalize their benefits selections, plan for retirement, and monitor their payroll. And the ADP® onboarding solution helps company management find and introduce new employees to this nurturing company culture. A PEO like ADP TotalSource provides a co-employment relationship in which clients retain day-to-day management of their employees, and the PEO handles HR and employee benefits administration responsibilities. Clients who partner with ADP TotalSource gain access to a larger suite of offerings, including FORTUNE 500®-caliber health benefits and employee growth and development programs. These, in turn, allow clients to provide more robust benefits to help attract and retain employees. As of March 31, 2017, ADP TotalSource supported 471,000 worksite employees. Rio Grande Fence Co. of Nashville employees appreciate the convenience and buying power that comes from having an established PEO provider, the company said. ADP TotalSource solutions also are helping Rio Grande address the needs of employees who cut across multiple generations and have varying interests, according to Smith. Rio Grande Fence Company of Nashville also values the quality of ADP client services, which helps managers resolve HR issues for employees. Introducing new employees to Rio Grande’s processes and company culture is one of Smith’s personal commitments to the growth of the family business. As Rio Grande Fence Company of Nashville looks to the future, Smith remains committed to the PEO model.